Brandtson Duffie will look to close his season with an 800m state title at SPIRE. The 800m contest at Saturday's D2/3 State Championship will mark the end of Brandtson Duffie's high school track career, as far as indoor competition goes. The senior from Fairfield-Leesburg, who was eligible to line-up in a trio of other events, is hoping to wrap things up in style in what he considers to be his ideal racing distance. "I enjoy the other mid-distance and distance events, but right now for me it's all about the 800," says Duffie. He thought long and hard about extending his season into New Balance Nationals, but instead he's opting not to make the trek to New York City. "Going to NBN was something I was strongly considering, but at the end of the day I realized for this season my priority is State's." While the Lehigh University bound Duffie could very well have found himself in the mix in the 1600 or one of the other races that he qualified for (400 and 3200), it does seem that his best shot at claiming a state title would reside in the 800. "It's definitely my favorite event and basically everything else that I compete in, I do so with the reason being that it'll make me a better 800 competitor," he notes. Duffie's passion for the distance is evident, but how have things materialized for him on the track in his key event this season? 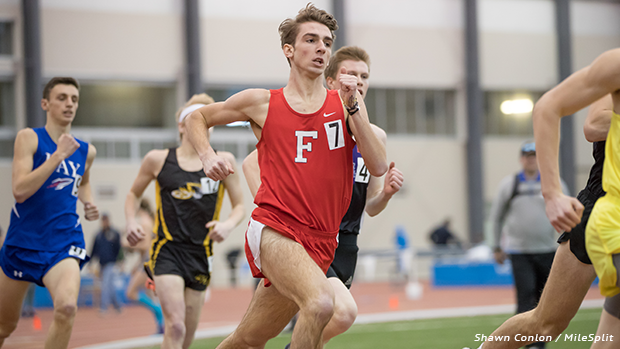 Well, he launched the 2019 campaign in fine form back in January at YSU, where he took third with a 2:00.77 performance. A solid effort there, for sure, but it was his follow-up showing that really made him start to think that a win at State's could be a distinct possibility. While taking on many of the region's best athletes, Duffie went 1:55.73 for a fourth place finish at the MileSplit / SPIRE Showcase. His clocking represented a personal best at the distance and an Ohio #3 ranking (overall) for the year. In fact his time even usurped his outdoor best of 1:56.23 - a somewhat uncommon achievement due to the smaller track, which requires the need to do more turning and limits the straightaway room to work with while indoor. "I didn't race as much as I was expecting to this season, but when I did - I was really happy with my times, my placements and my overall efforts," said Duffie. Brandtson Duffie has shown his range with quality times from the 400 to the 3200. The 800 is an interesting event because it provides athletes with an opportunity to demonstrate a good blend of speed and endurance and as Duffie says, "it's fun." "I think I could be successful at a number of events, but right now I'm really interested in pursuing the 800 - it's where I have the best chance to excel and to display my skills." And why shouldn't it be all about the 800? While there's no guarantees, especially at a meet that houses the high level of talent and depth that State's does, but on paper, though, Duffie appears to be on the short-list of contenders who should vie for the win. 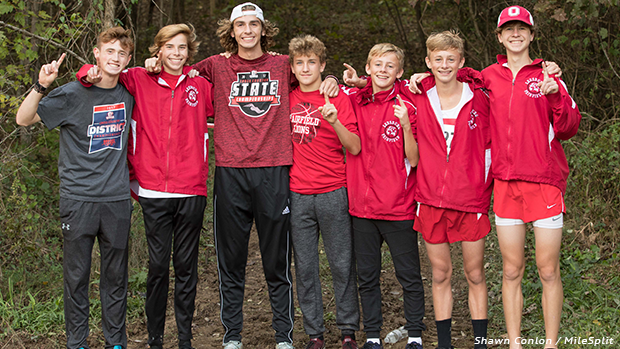 To capture a state title is obviously a special achievement for any athlete, but for Duffie it might mean just a little more. "Fairfield-Leesburg has never had a state champion, in track and field or in any sport for that matter," he explained. "Leesburg is a very small, tight-knit area and I know that a lot of people are rooting for me." "I'm definitely going for the victory, but whether I get it or not - I want to ensure that I give it my all and make my town proud." To some athletes, this attention and these types of expectations might be perceived as stressful, but not to Duffie. "I'm embracing the pressure that I'm one of the favorites and I'm channeling it into being a good thing." "The way I look at it, I'm not going to be just running for myself, there's going to be a greater cause in place - I'm going to be competing on behalf of my entire community and I'm ready to do whatever it takes!" Duffie's outlook would be considered impressive insight coming from anyone, but perhaps more so in this case due to it being issued by an 18-year-old high schooler, but this isn't necessarily the first time that he's demonstrated wisdom beyond his years. 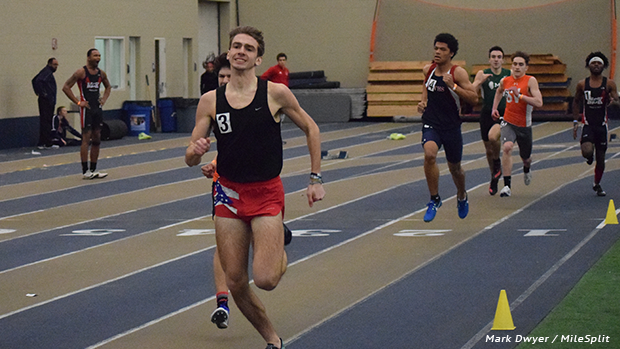 Another example of the depth of his perspective came last month at Youngstown State University, following his fine season debut performance in the 800. MileSplit secured Duffie for an interview and during the conversation when asked about his goals, he was quick to point out, "while I'd love to become a better runner and I'm certainly focused on doing that - my main goals moving forward are to become a better person in all facets of my life." Brandtson Duffie credits his training partners for much of the success that he's achieved. It's clear that Duffie is a gentleman off the track and a sportsman on it. He's one who's quick to deflect credit and he often offers thanks to his teammates for helping to make him better, but his humble ways doesn't mean that he's not a fierce competitor, as well. He is just that. Duffie knows that winning a state championship is far from a lock, but he wouldn't want it any other way. "I know there's a lot of fast guys out there - Blake Lucius, for example, comes to mind as someone who's had a great season, but I believe I can do this and I intend on going out there and proving it on race day." As far as the big day goes and what the actual race itself will look like, Duffie isn't really sure what to expect and in some respects - he doesn't care. "For me, it's going be all about winning the race." "Sometimes at championship meets, the racing can be slow and tactical and other times it can be fast right from the gun." "It makes no difference to me what my finish time is, it's going to be all about competing hard and going for first." "No matter what style of racing unfolds, I'll be ready for anything." Whether Duffie executes his plan on race day and ends up achieving what he's hoping for remains to be seen, but one thing is certain - he's got the right attitude in place and he's done everything that's necessary beforehand to give him a shot at earning Fairfield-Leesburg's first ever state title.